CONTRA-TIEMPO, based in Los Angeles, CA, fuses Salsa, Afro-Cuban, Hip Hop, and contemporary dance theatre to create a unique works of dance art. 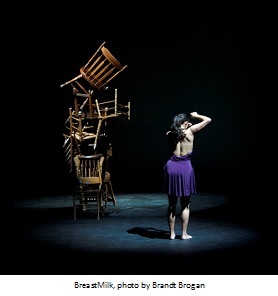 A 2014 participant of DanceMotion USA, CONTRA-TIEMPO provides a platform for voices that might not otherwise be heard. Innovative. CONTRA-TIEMPO is pioneering a new way of working and developing work. Contemporary. The Company claims the word "contemporary" as its work is relevant, timely, and about and from "the now." Grounded. 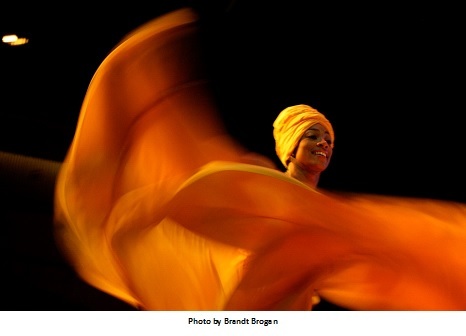 Physically the work is rooted and connected to the earth as it [the movement vocabulary] comes from the African Diaspora. The Company also has its ear to the ground on what's happening in the world and in the community, and the Company's work is a direct reflection. The dancers of CONTRA-TIEMPO are also grounded in where they come from, and remember who has come before, making it possible to have a voice and be heard. In many ways I think (and have heard from many others in the field confirm) that our concept and understanding of traditional concert dance is slowly dying. Not to sound negative, but so much has changed: funding, audiences, general support, and interest in the art form. However, for CONTRA-TIEMPO, I believe these "negatives" are positives, because the Company represents a new approach to concert dance and brings audiences into the work in a way that sometimes, in the past, might not have been possible. The Company creates work that is of the people and for the people, but does not compromise the training, artistry, and impact in exchange for accessibility. I see CONTRA-TIEMPO as an example of how existing in the liminal is not a problem to be managed but an asset. What was the impetus for CONTRA-TIEMPO’s creation? While in graduate school at UCLA, I found it was impossible for my work to be viewed without an intense reading of my Latinidad, a common experience for most people of color in this county. Especially in higher academia, when I walked into the room and was aware: of one's race and background; everything I created was watched and judged through a lens of my cultural background, and so I decided to embrace the resistance I was feeling and be intentional about it. I was personally caught up in the immigration debates happening at the time (there was a conversation going on where resistance was being seen in the mass media as 'un American'), and I found myself frequently using the metaphor of Salsa with my colleges students to describe that resistance. Salsa, a dance form I have been doing my whole life, doesn't exist without resistance, and resistance is a crucial key for understanding and communication. Through this metaphor grew "CONTRA-TIEMPO: Against the Times,” my thesis project, which grew into a piece I toured for almost a year before fling for 501C3! In what ways does CONTRA-TIEMPO give back to the community? - Are you contemporary or ethnic? - Are you American or Latino? - Are you are you a concert dance or social dance? - Are you a professional dance company or a community arts organization? We are existing and occupying a space - in between - that is neither but both - or 'yes, and' as we say at CONTRA-TIEMPO! The Company also gives back to the community by creating relevant and timely work that is an authentic reflection of the communities we work with and reflect who we are as artists. We give back through education, and engage of both dancers and non-dancers in the learning, teaching, moving, creating, and making of our work!